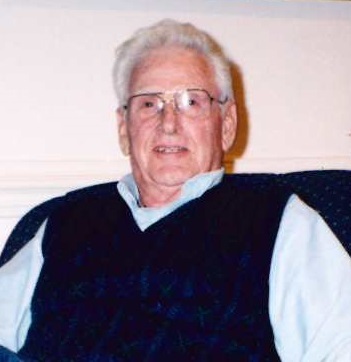 Otha Lee Oakley, age 93, passed away on Saturday, April 6, 2019. Born in Edgecombe County, NC on June 28, 1925, he was the son of the late Roland Lee Oakley and Mary Clark Oakley. He was also preceded in death by his wife, Juanita Daniel Oakley; his daughter, Wanda Gail Smith; sister Evelyn Woodcock; brothers, Bill and Robert Oakley. Otha leaves behind to cherish his memory his daughter, Carol Oakley Pridgen and her husband, Michael of Rocky Mount; his grandchildren, Kevin Oakley Smith and his wife Taylor, Brandy Thomas; great grandchildren, Logan Huey, Skylar Huey, Brendan Bales, Caiden and Trenton Moore. He is also survived by sister, Lois Price of Rocky Mount; brothers, Alton Oakley of Rocky Mount and Harvey Oakley of CA; son-in-law Howard Smith of Rocky Mount. The Family will receive friends and relatives on Wednesday, April 10, 2019 from 1:30 PM to 2:30 PM at Wheeler & Woodlief Funeral Home. A Graveside Service will be held on Wednesday, April 10, 2019 at 3:00 PM at Rocky Mount Memorial Park with Pastor Lee Price officiating. In lieu of flowers, memorial can be made in Otha’s memory to the American Cancer Society, 930 B Wellness Drive, Greenville, NC 27834.